If there is one must-have accessory for fly fishing it is definitely some sort of glasses. There are quite a few products on the market, so we will give you a review of the best polarized sunglasses for fishing making it easier for you, to choose the right product. One of the many reasons why quite a few people consider fly fishing there favorite variation of this sport is, how close you actually get to the fish. Most of the time you practice sight-fishing, meaning you actually see the fish you are going for. Unlike regular fishing where you target unseen prey, sight-fishing lets you control far better how you present your lures, or in this case, flies to the fish you are going after. Spotting a fish, sneaking up on it and casting the fly to the perfect position takes a whole new level of skill. At least the first part can be greatly improved by wearing a good pair of polarized sunglasses for fishing. In addition to better vision, wearing such brings quite a few other benefits with it. As always, safety comes first and can be greatly improved by wearing sunglasses while fishing. Casting your fly to the best position can take a few attempts and having a hook flying around your head can be as scary as it sounds. Especially for beginners, who have not optimized their technique yet, this can result in horrible injuries, which could have been easily avoided. Even a cheap pair of sunglasses will do the trick, but there are a few other reasons, why polarized sunglasses are superior for fishing. Standing in a river almost doubles sun rays and therefore UV hitting you. Not only will your eyes be exposed to direct sunlight, but also the reflection on the water surface will hit your eyes. Besides the fact that this can ruin the fun, especially on a very sunny day, the UV-Rays can also seriously impact the health of the retina. This is one of the reasons, why it is important to get a good pair of shades, considering the cheap ones often lack decent UV-protection. For sure the most fun thing about the best polarized sunglasses for fishing is, that you can actually see through the water surface. Since fly fishing often relies on spotting your fish before casting, it is a feature making them almost indispensable for this sport. The glare you see on surfaces is usually just horizontal light waves and the way how polarized sunglasses work, they only filter exactly those light waves. The result is almost perfect vision into the water and the first time you will wear a pair for fishing will usually put a smile on your face, by just how big of a difference those can make. The three most popular lens materials today are polycarbonate, C39 and glass. Polycarbonate and C39 are kind of similar in their attributes, they are both lightweight and sturdy. You do not have to worry too much about dropping your glasses, both are shatterproof and therefore have an edge in terms of longevity compared to glass. Glass provides the best vision and is also more scratch resistant than polycarbonate. However, C39 comes fairly close to glass in those terms. There is no real best material for lenses, it is mostly a thing of preference between those three choices. However, you will notice a difference in quality, if you compare a well-made pair of sunglasses to a cheap discounter one. Do not get me wrong here, not all cheap glasses are bad, you just need to know which are the right ones to buy and that is why we created this list of the best polarized sunglasses for fishing. In terms of color we highly recommend going for a brown tone like amber, copper or bronze. The reason for that is that you probably do not want to buy several pairs of glasses and a brown color simply performs best overall. No matter if it is a sunny day or overcast weather, they will do their job. For a complete list of color benefits and more information about sunglasses check out our buyer’s guide. 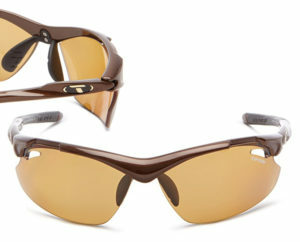 The prices for sport fishing sunglasses are almost open-end. If you want to you can spend hundreds of dollars, but is it necessary? The answer is no, although the overall quality should improve the more you spend, there is a point where it simply switches from a need to luxury. The most expensive item on the following list is fairly close but not beyond that point, while the cheapest still does its job surprisingly well, considering the price. No matter how much you want to spend, you should be able to find the right product in the following reviews. Starting with the most expensive one on the list the Maui Jim Kanaha. The lenses are made from polycarbonate and are therefore lightweight as well as shatterproof. As stated earlier, I prefer this material to glass for a few reasons. I owned this pair for close to a year now and dropped it so often, that I honestly deserve a broken a pair. However, the Maui Jim Kanaha seem to disagree! My guess would be that their lightweight just saved them every time. The colors available are rose, bronze, and gray and if you paid attention to the short buyer’s guide, and need an all round pair, you should know that bronze is the best choice. I have the bronze variation as well and I never felt like I need a different color, they perform well in the morning, in the evening, during overcast, and in broad sunlight. When I do not wear them on a sunny day, I can actually feel how much faster my eyes get tired. 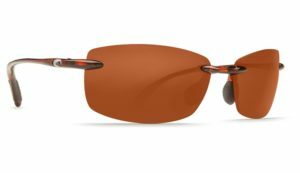 Their Grilamid frame is flexible, bendable, and as durable as their lenses, making this pair of glasses nothing you constantly have to be cautious about. The rubber nose grip holds them in place even during faster movements and all in all they just look good and I often wear them on the streets. The lenses, as well as the frame, are specially treated to make them resistant against saltwater and an additional coating was applied to make them scratch-proof. Naturally for something in this price range you get a free case with every order. 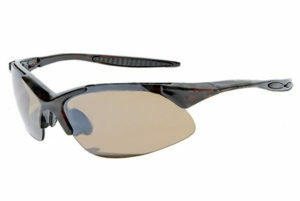 The Maui Jim Kanaha are a perfectly designed, good looking, and durable pair of fishing sunglasses. They will serve you well on the river as well as on a boat on the ocean. Although they might seem a bit pricey, this is a product that you will wear for many years and considering that, it is worth every dollar. Costa is a manufacturer producing exclusively sunglasses targeted towards people that use them outdoors: in, on or next to the water. While they have some products that are just average, they have others that convince with great quality. The Costa Del Mar Ballast definitely belong to the latter and I have a few friends wearing them as everyday sunglasses. The lenses are available in polarized plastic or glass although I would recommend, that you go for the plastic ones since they bring down the weight of these glasses to lightweight 16 grams. In terms of color, you can choose between blue, bronze, gray and silver with a mirror coating. Again, if you want a pair performing well in all situations bronze should be your choice. The frame is made from nylon with a rubber nose grip so they do not fall off that easily and two more pieces of rubber at both ends of the frame support that. This pair is on this list because I had the chance to test it a few times and it just convinced me. As stated earlier, a few friends of mine use it regularly and I only heard good from them as well. Some own the same pair for several years already. From all Costa sunglasses I used so far, these are definitely the best. They perform better than some pairs in the $200 price range and that is why they definitely deserve to have a place in this list. 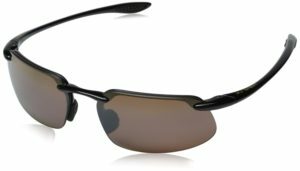 For around $100 you get quality shades that will serve you well for a few seasons of fishing. Available Colors: Bronze, Black Smoke + Interchangeable Lenses In All Colors! Another pair for under $100 with the quality standards of high-priced products are the Tifosi Tyrant 2.0. They improved the fairly popular first version of the Tyrant, making them lighter without losing their toughness which they were loved for. For the frame, they switched from a combination of TR-90 Grilamid and aluminum to TR-90 Grilamid only, which gives them a more clean look and reduced weight slightly. The lenses did not really change, they still provide outstanding clarity, considering you are looking through polycarbonate. Overall the update is definitely an improvement. As mentioned earlier the frame is made from TR-90 Grilamid and I actually did not find them that comfortable during the first test. This changed surprisingly fast though since the frame seems to adapt to your head and after a while, I often forgot that I even wore them. The rubber used for the end pieces of the frame and the nose grip is hydrophilic. 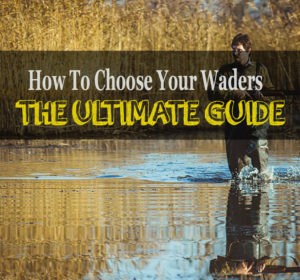 This is exactly the opposite of what you want to be your waders like, meaning that it absorbs water. The benefit this provides is the improving grip once they get wet. No matter if it is sweat or water out of the river they definitely get less slippery once they come in contact with moisture. Although that is the case for all of the glasses on this list, the Tyrant 2.0 just feel like something way more worth than $80. The polycarbonate lenses come in brown or smoked black from the beginning, but you can get a wide selection of colors separately. The process of changing them is actually really easy, so if you ever feel like you need a different color, you can get another pair of lenses for $15. This is something I definitely appreciate, even though brown usually does the trick, this can save you a new pair once your first pair of lenses gets scratched. The brown lenses I tested provided clear and colorful vision and removed the glare on the river almost entirely. The Tifosi Tyrant 2.0 are probably the pair I would recommend for everyone just starting out with this sport and knowing they will do it for a while. Considering the price they are an affordable piece of equipment, during normal use nearly undestroyable and if you somehow manage to crack a lens it is easy to replace. You can’t really go wrong here! The next great pair on this list is JiMartis JMP44. Not a really fancy name, but that’s nothing you should care about, if you are looking for the best polarized sunglasses for fishing. The lenses are made from polycarbonate and come in quite a few different colors. As always, I recommend brown or in this case caramel. That is also what I tested and the contrast, as well as the colors were great. The polarization works as expected and even on a sunny day you will barely notice glare on the river, letting you see through water. The frame is made from TR-90 and is therefore lightweight, durable, and adapts to your face over time. With only 25 gram you can see the difference to the more expensive reviewed here, but to be honest, you will barely notice a difference if you do not directly compare them. The two things I really like about JiMarti is their lifetime breakage warranty on the frame and on the lenses, as well as their 30 days return policy. So even if you do not like them, you can just send them back, no questions asked. There is not much to say here: The JiMarti JMP44 do their job and if you consider the price, they do their job great! The quality is decent and should hold up a few seasons. Besides that they are slightly heavier than the more expensive ones on the list and they do not come with interchangeable lenses, the JiMarti are still an awesome choice! Initially, I did not plan to go that low in terms of price, since I never expected to find decent fishing sunglasses under $50. However, I looked online for cheap sunglasses for fishing and found the San Jose made by Flying Fisherman and they had great reviews. For only $20 I did not feel like I had much to loose so I ordered to give them a try. Let me be clear, if you buy something for $20 it would be unrealistic to expect the same quality as in products for $100 or more. However, the San Jose actually surprised me. I got the copper lenses and boy, the contrast and crisp vision they provide is amazing, especially for that price. Same for the quality, show these pair to someone and let them guess the price: I guarantee no one would guess even close to $20. They are lightweight, hold well onto your face and even if they fall and you somehow manage to break them, they come with one year warranty. It honestly surprised me how much quality you can get for that price. I recommend going for the copper version as well and you have a decent pair of shades for a ridiculously low price. If you already have a good pair, let them in your car or use them if you know it will be a rough day outside. I always enjoy wearing something where I do not have to be afraid of breaking it. These are by far the best polarized sunglasses you can get in that price range. No matter what budget you had in mind before reading this guide, you should have found something fitting your needs by now. I can only repeat myself, when fly fishing, a pair of sunglasses can save you from terrible injuries. No matter how advanced your casting technique is, it is always good to be on the safe side! And again, even if you completely ignore that fact, it is just awesome to see fish swimming around that you otherwise wouldn’t even notice. Both arguments make polarized sunglasses basically a no-brainer for every avid fly fisherman and that is why shades should be the first accessory you buy for this hobby. The Tifosi Tyrant are just great. I usually forget that I wear them, it feels like they just become part of your head somehow.. I wear them all the time while fishing and never felt the need to use an other lens than the bronze one. Its great to know that you could change any time!